If I ever need inspiration, I come to your blog... and once again you've done it! I love all the family support and the community you build here. You asked, what was it like where I was growing up? I grew up in the San Francisco Bay area. For fun, I would roller skate, ride my bike, or play soccer. As a family, we'd visit the Sacramento Delta and water ski, visit the beaches in Santa Cruz, or spend a day in San Francisco. Since I was the youngest of three children, and my brothers were 8 and 10 years older than me, I think I had less chores than they did. My chores included setting the table and cleaning up after the dogs. When my brothers were in college or living on their own, my chores included much more, but it seemed easier to do because I was able to choose when I did them (such as clean the kitchen and do the dishes). You are always so kind and thoughtful! Thank you! When I was young, I used to roller skate a lot too. I grew up in the 1960s and my roller skates looked different than today's skates. Mine were metal and they clamped right on my shoes. I had a metal skate key to make adjustments, and I wore it on a string around my neck. I still have the key, but the skates are long gone! Thanks for a wonderful contribution! What a wonderful idea in collecting all of these special stories. I see a book on the horizon or at least a very special day of sharing! I grew up in Youngstown, Ohio which then was known as a "Steel Town" since just about everyone was a part of that community. I grew up in a multi-generational home with my mom, dad, younger sister, grandmother, & grandfather. The library was where I wanted to be more than any other place. I loved sitting by the tall windows and reading. I enjoyed the peace and quiet I found there. I helped my grandmother tend our huge garden at home and she was the dearest person in my life. Other than that, I had no real chores but helped out when I was asked. The New York Yankees were my favorite team and baseball was my favorite sport. My dad took me to Cleveland Stadium to see them play a twi-night double header against the Cleveland Indians. That was one of the most special days of my childhood. Other than that I played outside a lot with the kids in the neighborhood and just did all of the usual kid stuff. One of the stories that I always found interesting was a story my mom told me about growing up in the Midwest in the 1930s and 1940s. My mom's family spent their summers in Minnesota on a lake. During the summer months, a horse-drawn carriage would deliver ice for refrigeration. The lake ice was collected in blocks during the winter. The ice man would preserve it by storing it in an ice house. He'd cover the blocks with sawdust, and that would insulate or keep it frozen! During the summer, he'd drive around the lake selling the ice! Isn't that fascinating! Now we get ice so easily! I, too, spent my summers at the lake cottage in Minnesota. My parents wouldn't let us watch t.v., so we spent lots of time outside exploring and having fun. My Uncle Paul liked to go on walks, and he showed me a place where some milkweed was growing. Monarch butterflies were eating the milkweed, and Uncle Paul and I collected some leaves and caterpillars in a jar. Soon, the caterpillars created a beautiful chrysalis around themselves and hung from the top of the jar. (I put holes in the jar lid for air.) When it was time to drive back to California, not all of the caterpillars had completed their metamorphosis (met•a•mor•fo•sis) into butterflies. On the drive back, we had to stop several time to let the beautiful Monarchs free. I treasure that memory from my childhood. Do you have any special memories from when you were young? What an amazing way to share and learn. It's so great that you're able to have parents and families share their experiences growing up. As soon as I started reading those comments, I was hooked and I wanted to read more! I look forward to hearing more about everyone growing up! I agree with Mrs. Watanabe! You have the most amazing ideas for posts! I grew up in a very small town in Massachusetts. We did not have much money and we didn't have a television until I was 7 or 8. Instead we played outside no matter what season it was. In the winter we ice skated on a nearby pond. In fact, I never skated on an icerink until I was 16 years old! I liked to go hiking with my grandmother and her friends in the winter. We hiked in the woods with our dogs and had the best times! For lunch, we usually made a bonfire and roasted hotdogs. I still remember the smell of the sizzling hotdogs cooking on a stick I found in the woods. To this day, I prefer hot dogs cooked until they are almost black because they remind me of my grandmother. Your twi-night event with your dad sounds magical. Its fun to think back on those special times. We played a lot outside in our neighborhood. Kick-the-can and riding our bike around town were daily events, especially in the summer months! 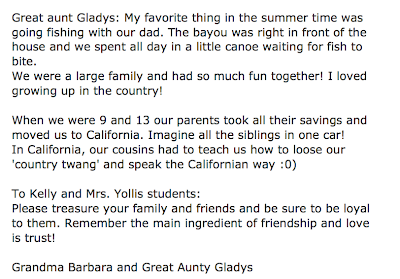 I was hooked by Grandma Barbara and Great-aunt Glady's comment too! I hope that they come back and tell us more about their life. I love hearing stories from the past! Thanks so much for your kind words! :-) How fun to be skating outside on a pond! How thick was the ice usually? What a wonderful topic. I enjoyed reading the childhood memories from the bloggers. I grew up in Ukraine which then was one of the republics of the former Soviet Union. The city that I lived in when I was a child had a big amusement park. On the weekends, my friends and I used to go and have fun by going on all kinds of rides. My favorite ride was carousel. It consisted of a tall pole with a heavy-duty metal rim to which was attached individual seats. As the motor started to turn the pole, we would start going faster and higher. It was a bit scary, but it was a lot of fun because you could see the whole park and you felt like you were flying. Cherish your childhood memories and your friends. Your post brought many good memories for me of growing up and I have enjoyed reading the comments from this post. I grew up in Los Angeles, in a hard working newly immigrant family from the former Soviet Union. My parents, sister and I lived in a 1 bedroom small apartment and didn't have many fancy things. However, I never felt like I missed out on anything because I had the most important thing, the love of 2 parents, grandparents, aunts and uncles. The apartment buildings in our neighborhood had many children. There was no such thing as a play date. After school and on weekends, we would all just come outside and play ball, roller skate, and play tag until bed time. My parents worked very hard to make sure that I became a well rounded person. I attended a good school, went to summer camp, had piano lesson, ballet classes, swimming lessons etc. As a family, we went on many road trips together. My father would load up our small old car and we would take off to places such as Yosemite National Park, Vancouver, and the Grand Canyon. These are memories that I will cherish forever. Thanksgiving is a time for family and friends to come together and give thanks for all our blessings. It is also a good opportunity to thank the people that care and love us, and helped make us into the people we are today. I am very grateful to my parents for everything they have done and continue to do for me and my family. I'm so glad that you took the time to share some of your memories. It is a wonderful way to learn about the past. I bet no one in my classroom will know about the Soviet Union! However, some of our atlases are so old, the U.S.S.R. is still listed in them. The PFC bought us new atlases, but I kept some of the old ones too. How old were you when you immigrated to the United States? What were some of the differences? How was it the same? Thanks, again, for joining in our global learning community! I, too, have enjoyed reading all the comments and learning about people. When I was growing up, we went on big family car rides too. Usually, it was to the family lake cottage in Minnesota. It took us three days of driving in the car. For fun, we used to sing, play license plate bingo, or just look at the scenery along the highways. America has a lot of beautiful land. We never had play dates either! All the kids in our neighborhood used to just come out in the afternoon, and we'd play games, build forts, or dig for bugs in the backyard! Such fun! I agree with your other wonderful bloggers this post really is a wonderful post. Wonderful because every one has a story to tell. It made me think about my childhood growing up in Melbourne. I used to love to hear the milkman deliver our milk with his horse and carriage. It really was a wonderful time for most of the times as a child I we would play every day right up till dark. We rode our bikes or our skate boards with the nexted door neighbours dog chasing us and not think nothing of it. On the weekend our family would pack up the car and head over to our holiday home in the country. As well as all our other extended family would show up so it was a weekend of singing, eating and fun. 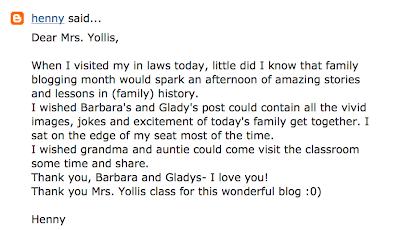 Really lovely post Mrs Yollis. I am Royce's Nana and I live in Paramus, New Jersey. Royce's dad and aunt grew up in this house. I have been living here for 41 years with my husband, Royce's Papa. I love all the excitement and fun that comes with the Thanksgiving Holiday. When I was a young girl, I lived in the Bronx. It is one of the five boroughs of New York City. We went into New York City all the time and Thanksgiving meant the start of the Holiday Season. The city was always the most beautiful at that time of year. All of the stores were decorated and sparkled with extra lights. The street vendors had their roasted chestnuts and pretzels ready for purchase. It was freezing cold by then and you welcomed the hot bag of food as you strolled along and tried to keep up with the crowds of people, all in such a good spirit. My family hosted Thanksgiving each year. My cousins and grandparents would come over in the afternoon. My sister, Caroll and I would sit for hours early in the week making potatoes into small turkeys and place them around the table. We would stick toothpicks in the potato for legs and slit an opening in the front for a cardboard head and a long slit in the back for the cardboard turkey feathers. We would put these turkeys on the table by everyone's place setting. As always, thanks so much for joining in on the learning! You are a loyal reader and wonderful contributor to our blog! Thank you! I loved hearing about your life growing up in Melbourne. I can picture the milkman delivering the milk and hear the sounds of the horses. What a memory! We used to have the milkman deliver milk. We'd put our request outside the door at night, and in the early morning, he'd deliver all the milk and dairy products we ordered. I loved the glass bottles that milk used to come in. Ah, yes, cleaning the house. My younger brother and older sister would join me on Sundays to clean the house. It was a project! We learned about the five boroughs of New York City this year. We Skyped with a school from Brooklyn. It was a wonderful way for my student to learn about an urban area. I remember making potato turkeys when I was little! We'd paste feathers to toothpicks and then shove them into the potato in a fan. We also used the toothpicks for legs. How funny! Thanks again for a wonderful comment, and I hope you come back and visit often. Our blog is open to everyone! It's a global classroom...open 24 hours a day! What a world! I really love this post! 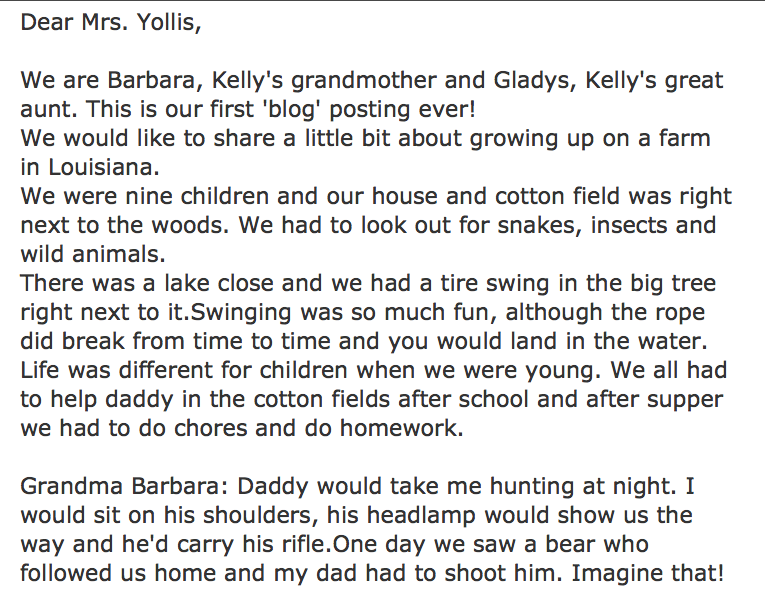 It's so much fun to read everyone's wonderful childhood stories! I lived in Tehran, the capital of Iran, until I moved to the United States at the age of fourteen. It may surprise you to hear that my childhood was not much different than most girls growing up in the United States in the seventies. Just like Mrs. Watanabe, who grew up in the San Francisco Bay area, I spent my free time roller skating, riding my bike and playing soccer with my brother, our cousins, and friends in the streets of Tehran. As much fun as I had in Tehran, I have to say that my favorite memories are from our amazing family vacations at the Caspian Sea in the lush green and picturesque part of northern Iran. Every summer we would load up our car and drive six hours to the Caspian Sea. There, we would spend a few weeks with my family and relatives in a resort town where we all had vacation homes. The long summer days (the sun did not go down until 9:00 or 9:30) were spent with our cousins swimming in the warm waters of the Caspian, riding our bikes, roller skating, and taking long walks with our parents. In the evenings, we would all gather at one of the homes for fresh, delicious seafood. The seafood was amazing, but my absolute favorite thing to eat was the grilled corn on the cob sold by the street vendors. In Iran, in the summer, corn on the cob is sold on the streets of most cities, but the ones sold by the Caspian Sea are the most delicious! I truly treasure my childhood memories. Thank you for allowing me to share some of them with you! I have greatly enjoyed reading the comments from friends and family about what their lives were like growing up. I was born in St. Louis, Missouri but my family moved to New England when I was about five. After a summer in a log cabin with no electricity or running water on an island in maine, we settled in Rhode Island. Our house in Rhode Island was in the country, and our backyard had a big hill that went down to a river. In the summers I had to help out with our chickens and tending the small garden, but mostly I just swam, fished, and canoed on the river. I never wore a shirt or shoes in the summer and my feet would get very tough from running around barefoot. We would swim about ten times each day, in between adventures in the woods or fields. Summertime on the river was amazing! My brothers and I loved to go hunting for turtles in our canoe with our friends. The turtles would crawl onto logs and rocks to sun themselves and we would paddle in quietly and try to grab them before they plopped in the water. I got very good at snatching them in my bare hands. Sometimes we would have about ten turtles scrambling around in the bottom of the canoe. At the end of the "hunt" we always put them back in the same spot that we had caught them. Sometimes we would canoe way up the river where it got very narrow and wild. 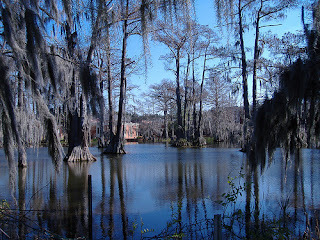 We would stop to swim whenever we got hot and would explore little islands and fields on the side of the river. Sometimes we saw otters, beavers, and even deer swimming across the river. In the winters the river would freeze and we could ice skate up to the same islands that we explored in the summer. Sometimes that was scary though, because I would worry that the ice might crack. One time I did fall through the ice, but it was right by our dock and I just ran inside to the wood stove to warm up. Growing up on the river with my brothers and sister was a perfect childhood! I think about those times often, and miss the river very much. Thank you for taking the time to write about your life! Isn't it funny how the simple pleasures like riding a bike or roller skating are universal! What was it like growing up in a big city like Tehran? Did people live in apartments like in NYC or were you in a suburb? The long car ride to a summer home is familiar to me. However, a six hour ride would have been preferable to our three day drive! Like you, once we arrived we would play with relatives and friends until the sun went down...usually around 9:00 or so! My neighbor is from Iran and he speaks very highly of his time spent hiking and fishing there. I don't know if he was at the Caspian Sea or not. I'll have to ask him. Who would catch the seafood? Would a family member do that or would you buy from the local markets? Like you, I have enjoyed reading about everyone's childhood experiences. It's fun taking a stroll down memory lane and learning about the past from family and friends. I also love being in the water. Our family lake cottage in Minnesota was on the water. Even as an adult, I love to paddle around and explore. There are lake clams and sometimes we find a salamander-looking thing called a mud puppy. I once found a giant lake clam and named him Bill. I was able to find Bill several years in a row living off our dock! We also used to fish for walleye, but they were very difficult to catch! What kind of turtles did you have on your river? What kinds of fish did you catch and eat? Do you ever ice skate today? My name is Liam in Ms. Braidwood's grade 7 class. I like your blog and the Edublog Awards on it too. I may be getting my blog soon and I need to prove my self responsible by making good comments on other class' blogs. I live in the Comox Valley, British Columbia, Canada. 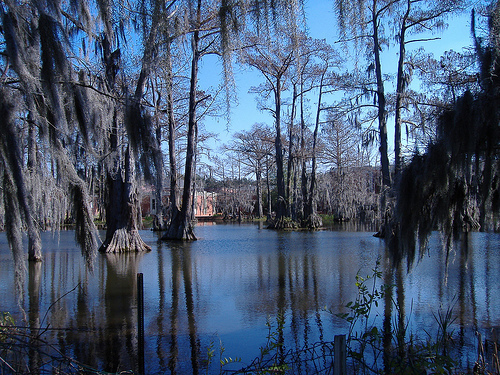 It is a great place to live and is very beautiful here. I*d like to share my story with you. I was born in Ukraine in a jewish family. There were three children in the family and it was a happy family until WWII came. My parents understood they must go somewhere to stay alive. Ukraine was the first land in former USSR occupied by German troops.With the last train my family was evacuated to Middle Asia. It was a wise decision because Jews who didn*t use this chance to leave Ukrane are all in one big grave called Babi Yar . kent - capital of Uzbekistan. a theacher over 30 years. In 1996 my husband,two sons and I came to USA. I wish my big family never knew war. I think people all over the world must live in peace. What was life like when I was growing up? I grew up in a suburb of Sydney, Australia. My family on my father’s side had been in the area since 1916. I was the middle of three boys in the family. We had a black and white television in the house and had had one since I was less than two years old. My grandfather sold electrical goods. He let us have a TV so people in our neighbourhood could come and see the new device. No one else in our area had one so our house was often crowded for the first year or two of television in Australia. There were no CDs, DVDs, electronic games, computers, cell phones or portable radios back then but we did have record players. Milk was delivered to our door, at first from the back of a farmer’s horse and cart but later in bottles from a truck. Bread and meat was delivered, as were the papers. That brings us to another big difference to today. There weren’t any supermarkets when I was little. We all bought our groceries from one of the corner stores in our area. The first supermarket appeared in town when I had started school. I was 10 years old when the first shopping centre was built in Sydney. It was fascinating for someone still use to corner stores. Our first McDonalds in Australia didn’t open until I was about 15. At first we thought the idea was strange but it caught on quickly. I’m not sure if the pound symbol appeared in the text for you to see as some texts can’t display it. If it didn’t, it looks like a curvy L with a line across the middle. For adding money, you would start by adding the pennies. If there were 12 or more, you converted the 12d into 1/- for each twelve and carried the shillings into the shillings column. Now you add the shillings. If there more than 20 shillings, you converted each 20/- into a pound and carried then into the pounds. Lastly you added the pounds. Finally, in 1965 we started to learn about dollars and cents. On Feb 14, 1966 Australia changed to dollars and cents. Adding money became far easier. The biggest punishment when I was in school was the cane. It wasn’t that common for girls to be caned as most teachers thought it was okay to cane boys but not girls as they weren’t as strong. They did have some funny ideas back then. :) Caning children is now illegal in Australia. As a teacher, I never have liked the idea of hitting children since I didn’t want them to be afraid of school. What chores did I have? I had to keep my room tidy and help my parents if they needed it but I didn’t have many fixed chores. When we visited the family dairy farm, we would sometimes try to help out but we were more likely to get in the way. One of our favourite things on the farm was when my uncle drove the old farm truck to the local cheese factory. The full milk cans would be loaded onto the back of the truck and tied down. We would climb on the back of the truck, hold onto the rope around the cans and have fun as the truck bounced along the dirt road. If this had been now, my uncle would have been in big trouble for endangering the lives of children. At home, my friends and I would often be out for most of the day on weekends. We only had to be back for lunch. Parents didn’t seem to worry where we were unless we were late for a meal. I think times were more innocent then. We didn’t even lock doors and windows when we went out. We would explore the farms still left in our area, ride bikes, play in the park, play football, play board games and generally have fun. That is so cool that you have a family blogging month. I think that is really interesting because you can blog with your family. You can learn I little bit more about your family, and other people can learn more about you. It is also good communication for you and your family. When did you start family blogging? Thanks so much for visiting our blog and for leaving such quality comments! Liam, I hope you earn your blog soon. Already I notice you proofread your comments so people understand what you're trying to say. What are some of the ways that students can prove they are responsible and earn a blog? Jillian, I think it is important to bring family into the learning as well. 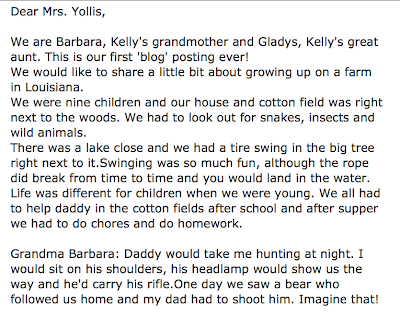 I held our first Family Blogging Month in April of 2010. I was thrilled to get such a wonderful response from parents, siblings, grandparents, cousins, and friends, that we run them twice a year! It really helps make our blog a learning community. 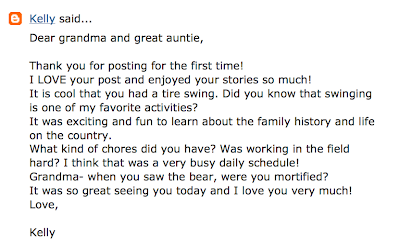 Have you ever had family members comment on your blog? 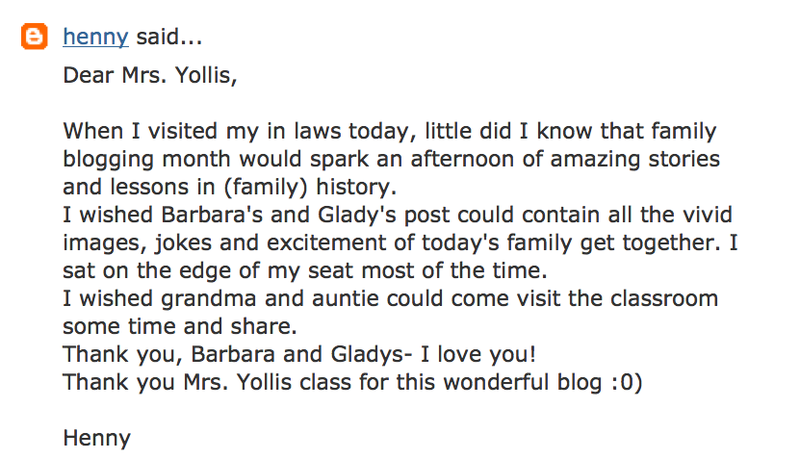 Thank you so much for taking the time to read our blog and leave us a comment. The painful stories of WW II are difficult to hear, but necessary for remembering and understanding the past. These lessons help my students move forward and work toward a more peaceful world. Thank you, Mila. We had a black and white t.v. at first too. Of course the sets only had a few stations. We had 2, 4, 7, 11, and 13 as choices. Because there was not a remote control, my siblings and I would take turns being the human remote control. I can still hear the sound of the dial clicking! The money conversion sounds like a real project! The current notes we've seen from Australia seem much better. Plus, Mrs. Morris showed us that they are plastic and cannot be ripped. That's a clever move! Yes, times were a lot more innocent back then. We used to leave in the morning on our bikes and go out exploring until sundown! Collecting pollywogs at the local stream was a fun thing to do! Thanks so much for the great memories! Thank you for taking time to respond to me! When I was growing up in Tehran, it was a city of three million people. Today, with a population of nine million, which makes it the world's nineteenth most populated city, it is quite polluted and congested. I am the youngest of four and up until the age of twelve we lived in a large house in a suburb of Tehran that was fairly close to the center of the city. After my oldest sister got married and left home and my other sister and brother moved to the United States, we moved into a smaller house in the northern part of Tehran closer to the Damavand Mountain where the weather is much cooler and the air much cleaner. Growing up in Tehran was wonderful. The city offered everything imaginable, wonderful restaurants, museums, numerous movie theaters where movies from all over the world were shown, beautiful concert halls, lovely parks, abundant food markets and grocery stores and modern department stores and boutiques that sold goods and clothing made domestically or imported from abroad. What I most cherish about my childhood years in Tehran is how safe I felt in my neighborhood. At that time, children played on the streets without any adult supervision because it was very safe. In the summer, it was fairly routine for my brother and I to spend the whole day, except for meal times of course, playing with our friends on the streets of our neighborhood. You asked about the seafood we ate while on vacation at the Caspian Sea. It was all store bought, we don't have any fishermen in my family! It wasn't easy to find the right spot for a comment, but Alyssa was a terrific guide for us. I grew up in Oakland with my twin brother. We spent most of our time playing out in the street ... endless games of football, baserunner and death-defying runs down the hill on a skateboard. I am Matthew's grandpa and I am 84 years old. When I was in 6th grade, I had two brothers that were 5 years older than me who were milking the cow. They decided that it was time for me to learn to milk the cow. They told me that all strong young men learned to milk the cow. Since they were my brothers, I beleived them. They said to sit in school and clench and unclench my fists to practice, then look around to classroom and see how many boys have milk on the bottom of their pants from when they missed the bucket. All my heroes had milk on their pants (along with manure on their shoes). My brothers told me how happy I would be if I learned to milk a cow. I sat there on the milk stool for many days practicing with the cow. Finally I got so I could milk her. My brothers hung the bucket up there and said that after you get it full of milk, you can stop. For the rest of my life, I was stuck having to milk the cow. This is one of the stories that I remember from when I was young, 73 years ago. Hi, I'm Casey, Brenden's oldest (participating) cousin! When I was in the third grade, I was learning to write with pencils and lined paper; what a thing it is to see what the third grade is like almost 15 years later. It is with joy unabated that I spend the fleeting moments of my Sunday night, ignoring the advanced math and science that calls to me from my book-bag, and writing to all "y'all". Peace. I am Brenden's grandmother and one of his greatest fans. I marvel at what is being learned and done at his grade level. When I was in the third grade there were no calculators or computers. We did not even have TV by that time. We learned penmanship and wrote all our papers and did all our math in our heads or on our fingers. Blogging is all new to me. I have just conquered E-mail. I hope to follow-up on your class projects. It's been great reading all the wonderful stories. I'd like to share a small story that interestingly parallels my daughter's life (Acacia.) Right before third grade, my parents moved to a different city and I had to transfer to a new school. I was a very shy kid, and I had a very hard time making friends. When I was older, my mother told my how worried and heartbroken she was seeing me struggle to make new friends. When she would drop me off at school, she would wait outside the gate till lunchtime and see if anyone would sit next to me during lunch. If no one did, she would weep and pray that the next day would be a better day. Eventually, I made friends who I ate lunch with everyday till the day we graduated together from high school. I share this story of my childhood because, though Acacia similarly switched schools at the same age, she has already made great friends and she is really enjoying her new school. I am very thankful she was able to be a part of your class and be surrounded by such great kids. I am still young and plan to stay that way for a long time so I can play ball with my "chill" nephew, just as my uncle did with me back in prehistoric times. I grew up in New York City. My parents both worked full time, but I lived with my grandmother who looked after me before and after school until I was ten. We lived in a small apartment in a three family house and we had no television until I was eleven, but I enjoyed listening to the radio. We did not own a car until I was thirteen so we used public transportation. My chores were to walk to the grocery store to pick up food for my grandmother, scrubbing one flight of stairs every month, and mowing the lawn with a push lawnmower in the summer for my grandfather. For fun I watched the Brooklyn Dodgers when we got a television, I played stoopball on my front porch and stickball in the Public School 118 playground. I went to Rockaway Beach in the summertime. Sometimes on weekends I visited my cousins in the suburbs and stayed overnight. Greetings from North Carolina. My name is Buzzy and I am Kaia's grandmother. I have just seen your class blog and I am so interested in what you are learning and doing. 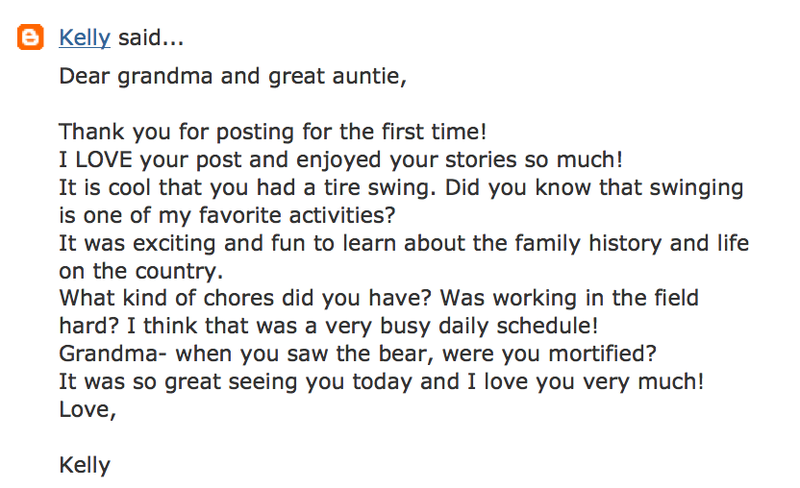 I have never even seen a blog and I'm having to get help to comment on it from Kaia's mom. Since this is my first time, I'm a little nervous. When I was your age, we didn't even have computers. Back then, color televisions had not been invented either, so we only watch shows in black and white. When we wanted to change the channel, we had to walk over to the TV and turn a knob. There was no such thing as remote controls. When I was your age, I liked to roller-skate, play the piano, swim, go to school, and read. 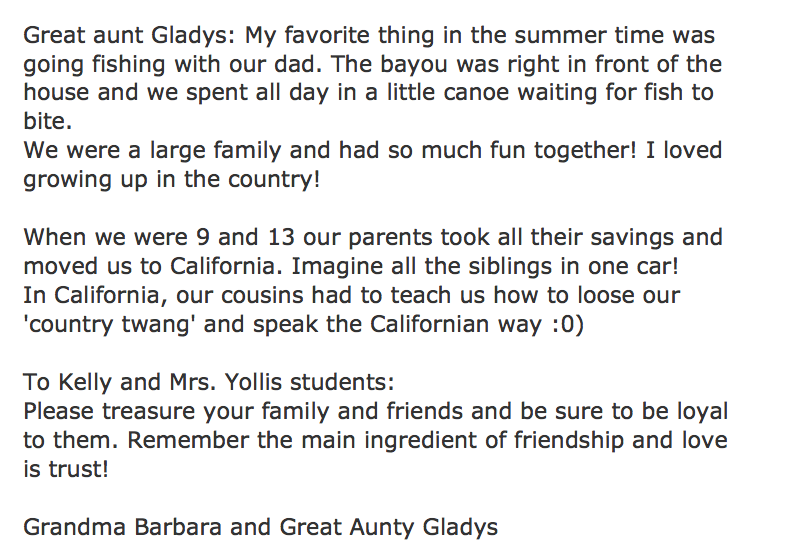 My third grade teacher was my all-time favorite teacher. She encouraged me to love reading and it is still the way I enjoy spending my free time. We live in the beautiful mountains of western North Carolina. The area where we are has lots of apple orchards, waterfalls, and hiking trails. In the Fall, the trees turn red, yellow, and orange; many people drive here from other states to see them. This Fall, we have had large black bears nearby, even in our neighborhood. It has been exciting but a bit scary; some of them weigh almost five hundred pounds! Has made me wonder... are there any wild or unusual animals in your area, too? What kinds of animals do you see?